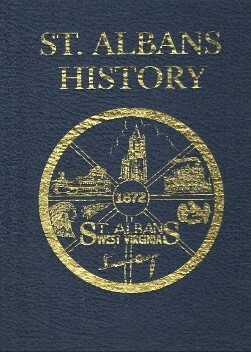 The St. Albans Historical Society has printed thirteen (13) local history books. Some are re-prints from as far back as 1909. Village Sampler and Coal River Coffee Company...both on Main St.
Booklet about the Civil War Battle of Scary Creek in nearby Putnam County written in 1932. 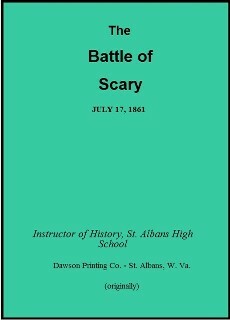 Written by St. Albans High School teacher Mervin Shirey, this was one of 7 history's he wrote. This was the only one that was found. 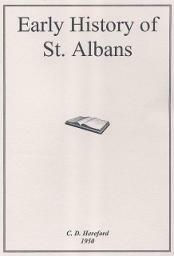 ORIGINALLY WRITTEN TO SHOW THE MANY ATTRIBUTES OF ST. ALBANS, ITS BUSINESSES AND HISTORY, IT ALSO CONTAINS PICTURES OF EARLY CHURCHES, SCHOOLS, HOMES AND CONTAINS VINTAGE ADVERTISEMENTS. WRITTEN IN 1990 TO TELL ABOUT THE INDIAN ATTACK ON FT. TACKETT BY THE SHAWNEE, THE HOSTAGE CAPTURE AND RETURN AND ABOUT THE EARLY PLANTATION THAT LATER STOOD ON THAT SITE, AS WELL AS A CHEMICAL PLANT, DRIVE-N THEATER AND LATER A LUMBER BUSINESS. 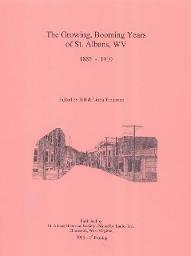 THIS BOOK TELLS ABOUT THE LOCAL HISTORY AND ABOUT THE EARY SETTLERS AND GRIST MILL OWNERS IN THIS PART OF KANAWHA COUNTY. 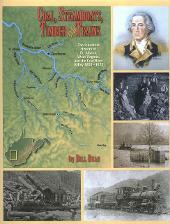 See "Coal River Group"
WRITTEN BY PLANTATION OWNER AND CONFEDERATE SPY, JOHN MORGAN, THIS BOOK TELLS NUMEROUS STORIES ABOUT LIFE IN THE MID 1800'S IN PUTNAM AND KANAWHA COUNTIES. 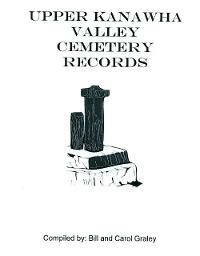 OVER 60 LARGE AND SMALL CEMETERIES, THIS BOOK SHOWS ALL OF THE INSCRIPTIONS ON THE HEADSTONES. EXCELLENT FOR FAMILIES DOING FAMILY HISTORY. 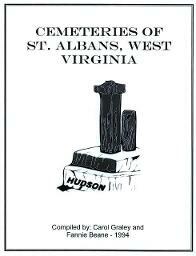 COVERING OVER 50 CEMETERIES IN THE UPPER KANAWHA VALLEY, THIS BOOK SHOWS ALL OF THE INSCRIPTIONS ON THE HEADSTONES. EXCELLENT FOR FAMILIES DOING FAMILY HISTORY. 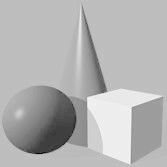 THIS 45 MINUTE VIDEO DEPICTS THE HISTORY OF ST. ALBANS...BEGINNING WITH NATIVE AMERICANS, EARLY SETTLERS, SCHOOLS AND CHURCHES, SOCIAL CLUBS, INDUSTRY (LUMBER AND R.R. ), ATHLETIC TEAMS, MAIN STREET AND EARLY TRANSPORTATION. 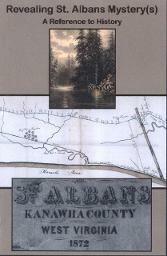 THIS BOOK COVERS THE BOOM YEARS OF ST. ALBANS (1885-1910), MOSTLY DUE TO THE ARRIVAL OF THE C&O RAILROAD AND THE NUMEROUS LUMBER MILLS. 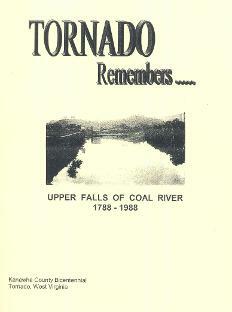 LUMBER WAS FLOATED DOWN THE COAL RIVER (LATER BY TRAIN) FROM THE UPPER REACHES. COAL TRAINS ALSO HELPED THE SPUR THE LOCAL ECONOMY WITH THE RAILROADS LOCATED HERE. THIS BOOK TELLS ABOUT LIVING IN ST. ALBANS IN 1872 AS TOLD BY PIONEER BUSINESSMAN C. D. HEREFORD, AND IT ALSO CONTAINS A BRIEF HISTORY OF THE TOWN AS TOLD BY HIS SON, H. R. HEREFORD. 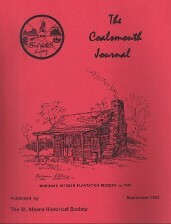 A MOST INTERESTING BOOK...IT IS A COLLECTION OF "COALSMOUTH JOURNALS" FROM 1972-1974.....OUR EARLY NEWSLETTERS. TOPICS INCLUDE: MOVING MORGAN'S KITCHEN, FORMATION OF THE HISTORICAL SOCIETY, SHELTON COLLEGE, BRIEF HISTORY OF ST. ALBANS, MAD ANNE BAILEY, THE HUDSON, GRANT AND PERSINGER FAMILIES, FORT TACKETT, MAP OF COAL RIVER LOCKS AND DAMS AND GEORGE WASHINGTON. THIS BOOK ALSO HAS ARTICLES ABOUT THE ST. ALBANS HIGH MUSIC TEACHER, HAROLD LEIGHTY (43 YRS. ), ST. ALBANS DRUG STORE HISTORY, AND THOMAS AND STEPHEN AND CATHERINE (LEIGH) FAMILY HISTORY. WRITTEN BY HISTORICAL ARCHITECT, PAUL MARSHALL, (1883), HE COVERS THE EARLY HISTORY AND DEVELOPMENT OF THE TOWN, CHURCHES, SCHOOLS, RAILROADS, CIVIL WAR, CITY NAMES, COAL RIVER NAVIGATION, LUMBER HISTORY, AND FINALLY THE HISTORIC HOMES IN TOWN. "Coal, Steamboats, Timber and Trains"
TAKING OVER TWENTY TO WRITE, HISTORY PROFESSOR BILL DEAN TELLS IN PRECISE DETAIL THE EARLY HISTORY OF THE COAL RIVER NAVIGATION AND LUMBER AND RAILROAD HISTORY OF ST. ALBANS. 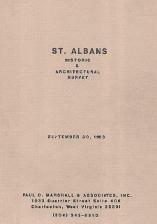 "Revealing St. Albans Mystery(s) - a Reference in History"
WRITTEN IN 2007, THIS BOOKLET (20 PAGES) GIVES A TIMELINE OF THE HISTORY OF ST. ALBANS AND GIVES AN ACCOUNT OF THE BUILDING OF THE 180' LONG COVERED BRIDGE ACROSS COAL RIVER THAT WAS BUILT IN 1832 AND BURNT BY RETREATING CONFEDERATES IN 1861. WRITTEN BY DR. ARTHUR HUGHES (ABOUT 1950). 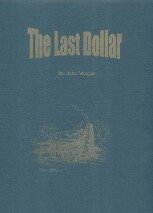 THIS BOOKS TELLS LOCAL HISTORY AND HAS POEMS WRITTEN TO HIS WIFE, JENNIE. Sampler and the Coal River Coffe Company...on Main St.